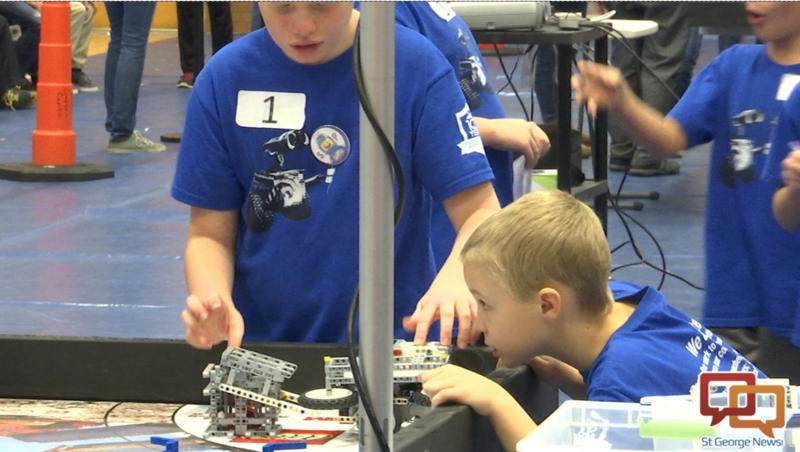 ST. GEORGE — The First Lego League held their scrimmage tournament in the Student Activities Center at Dixie State University in St. George, Saturday. 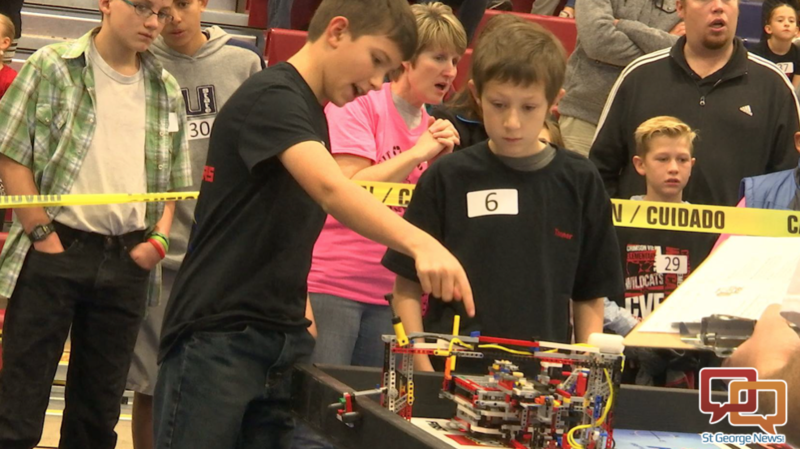 The First league – For Inspiration and Recognition of Science and Technology – saw teams of elementary and middle school students compete in a series of Lego-built robotic challenges. The final competition will be held on Dixie State’s campus Jan. 9, 2016. The students have two and a half minutes to score as many points as possible. “The tournament is a celebration of what the kids have learned over the season,” Tournament Director Dolores Heaton said. Murray’s team consists of 10 fifth graders, which is the maximum number of members allowed on a team. They have held weekly practices since October after forming their group in September. With the competition quickly approaching, they’ve met several times after school to prepare. “We really leave it up to the kids to come up with the solutions of how to complete the tasks,” said Bryan Crandall, adviser of Hurricane Elementary’s Scientific Programmers. Crandall said his team consisted of five students, while Hurricane Elementary has more than 100 participants. Some of the benefits of participating in this organization and event, Crandall said, include using imagination, problem solving and team work. According to Heaton, there are 53 teams registered for this tournament, making it the largest First Lego League tournament Utah has ever seen. Eight of these teams have the opportunity to advance to the state championship at the end of January, at Utah Valley University. Then one team can qualify for national competition. The competitors will meet with engineers and computer programmers to be judged on the design of their robot and other factors. They also are judged by other professionals on how they interacted as a team, as they learn about core values in the workplace. Austin Peck relocated to St. George in 2005 from Portland, Oregon. His passions lie in technology, computers and videography, as well as Tillamook cheese. He enjoys interacting with members of the community and keeping up with current events around town. In his spare time he enjoys developing his news skills and watching YouTube.